The posse cut appears on a forthcoming mixtape from Digital Trapstars. 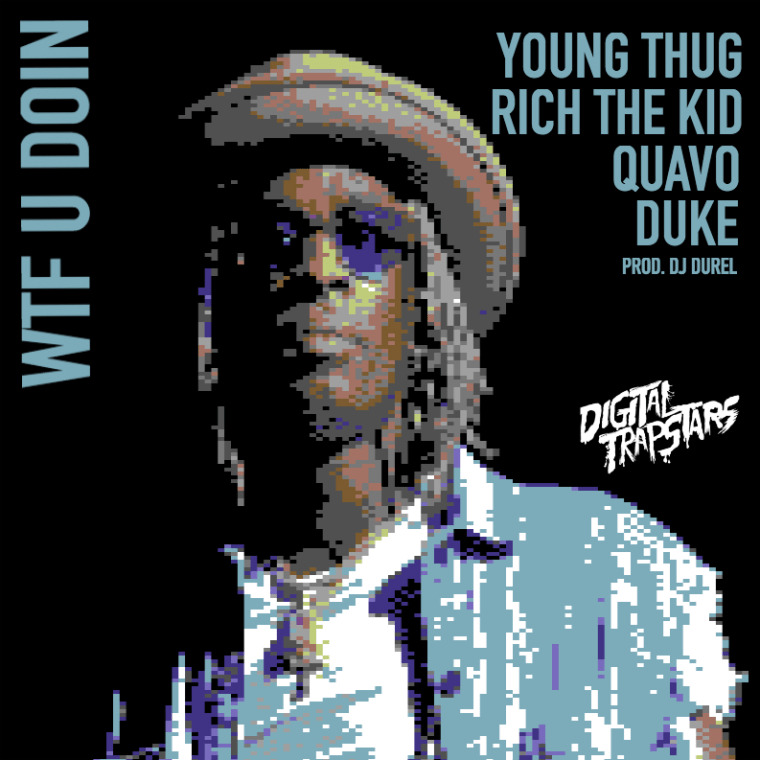 Digital Trapstars will share its Screens on Lock 4 mixtape this summer, and the first single is a big one: "WTF U Doin," with Young Thug, Quavo, Duke, and Rich The Kid. The cover art depicts a pixellated Thugger, and that's appropriate for DJ Durel's chiptune-trap beat. The raps, however, are in full 1080p resolution (the "p" stands for "pints"). Listen below.